U.S.A.F. Phantom F-4 Intercommunication Panel. P/N C-1611D / AIC. U.S.A.F. Phantom F-4 Intercommunication Control Panel. 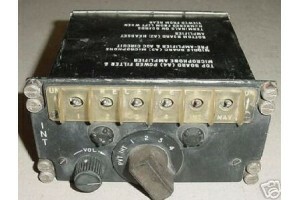 Model C-1611D / AIC. It is very clean and it shows well and it would make an excellent desk top or bookcase show item for the office or home.